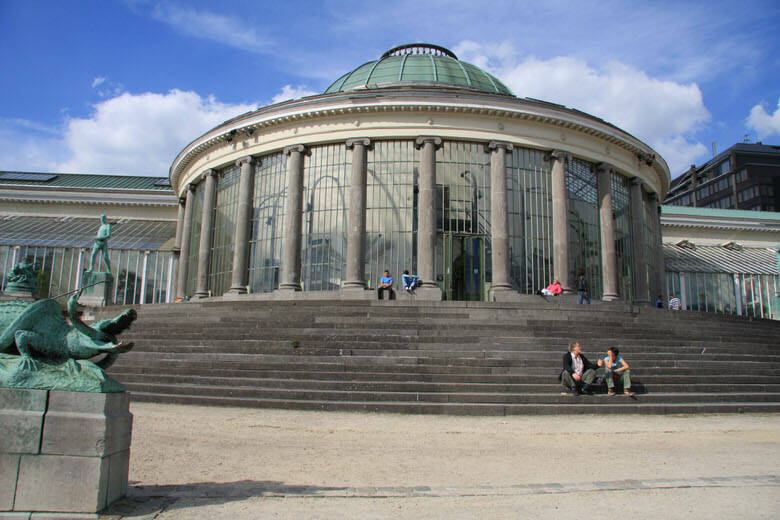 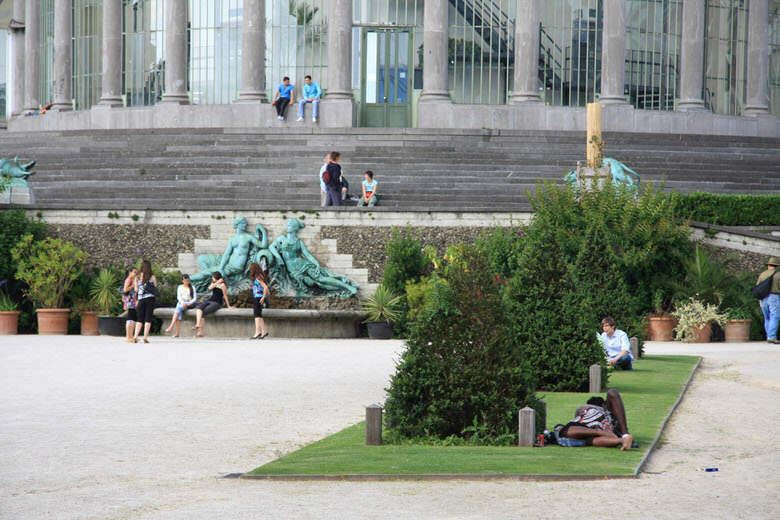 Since 1983, this complex hosts the Cultural Center of the French-speaking Community of Brussels and Wallonia. It was built in 1826-29 by T.-F Suys and P.-F. Gineste. 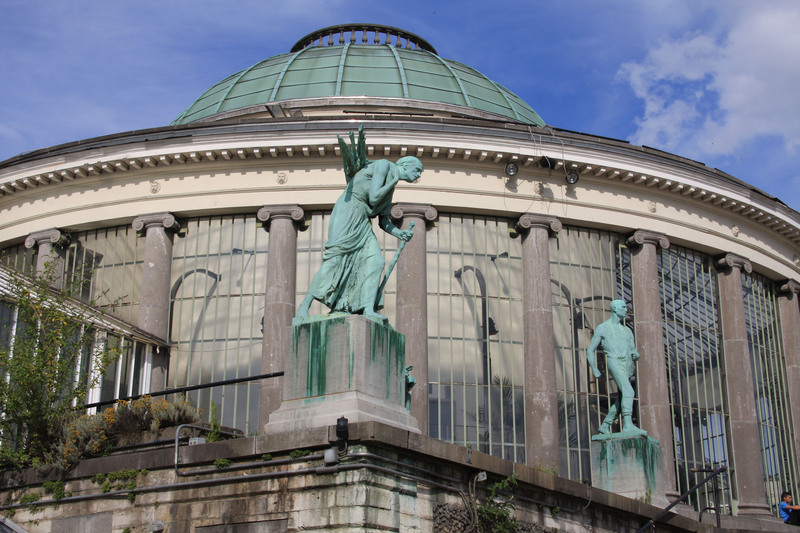 The monumental structure is typical of XVIllth century orangeries: a central rotunda with a wing on each side, each ending on a pavilion. 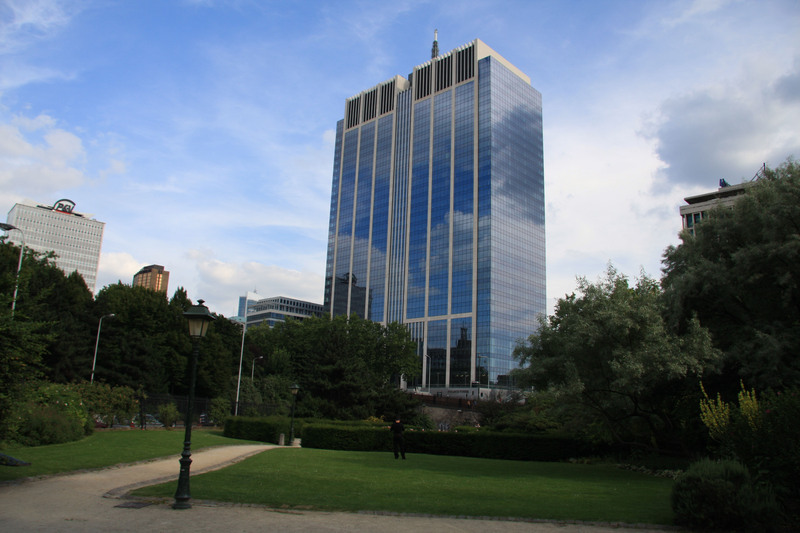 The building was enlarged several times during the XIXth century. 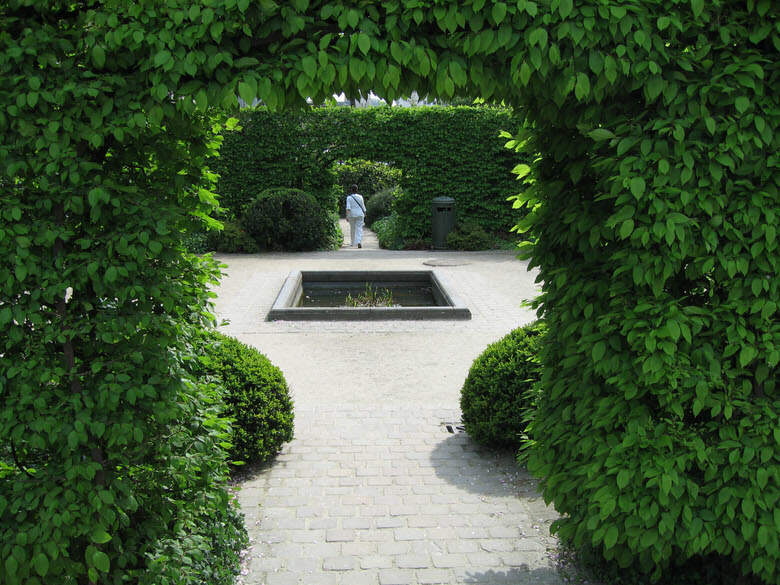 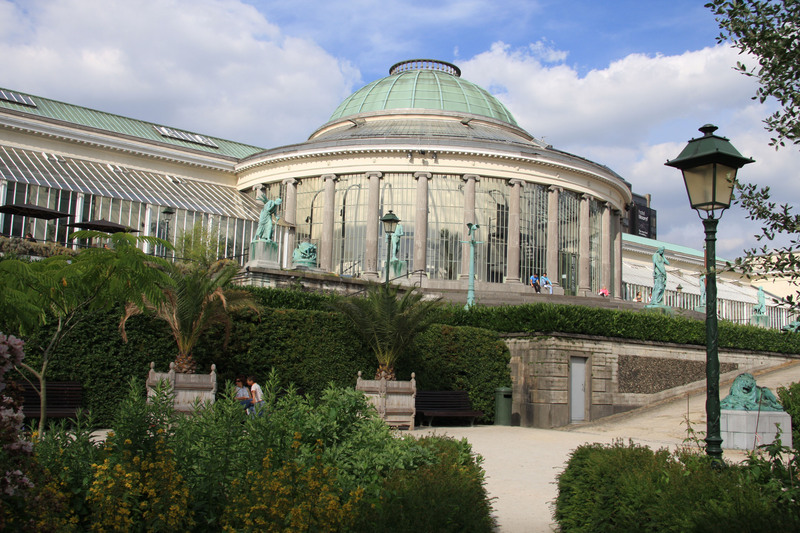 In 1939 most of the plant collections were transferred to the botanical garden at Meise. 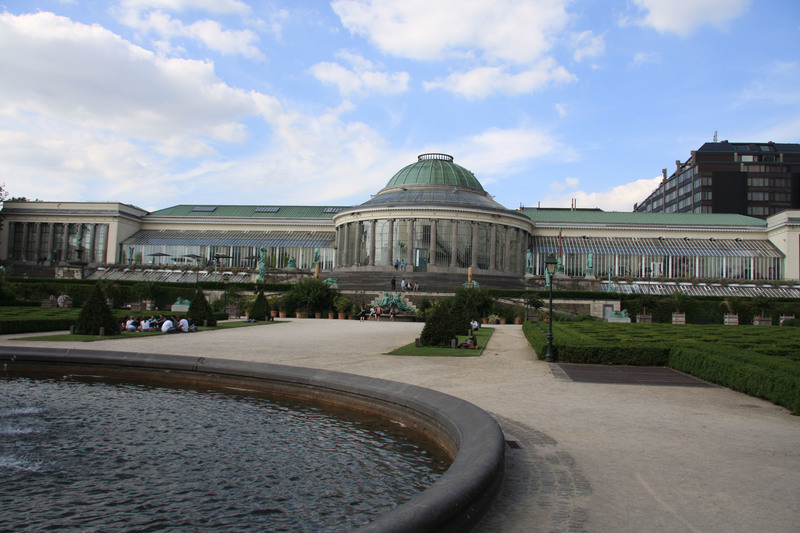 Truncated and mutilated after the works of the North-South junction, the former botanical garden was re-arranged according to the drawings of René Pechère. The botanical gardens lie in particularly pleasant surroundings and now host and organise a wide range of special events such as theatrical productions (in the great central rotunda), musical evenings (song, dance), cinema and temporary exhibitions. 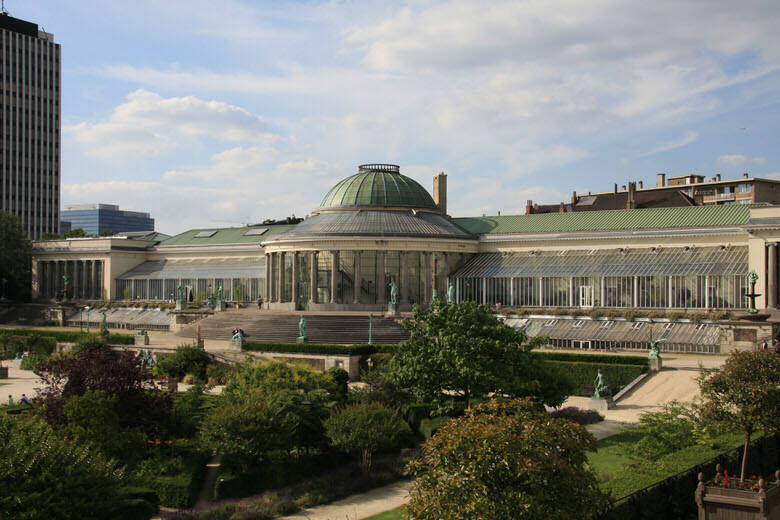 In September, the gardens play host to Les Nuits Botanique Festival, with numerous pop, rock and soul concerts. Originally the gardens. which were partly laid out by Charles Henri Petersen, consisted of three terraces overlooking a lake, each in a different style. 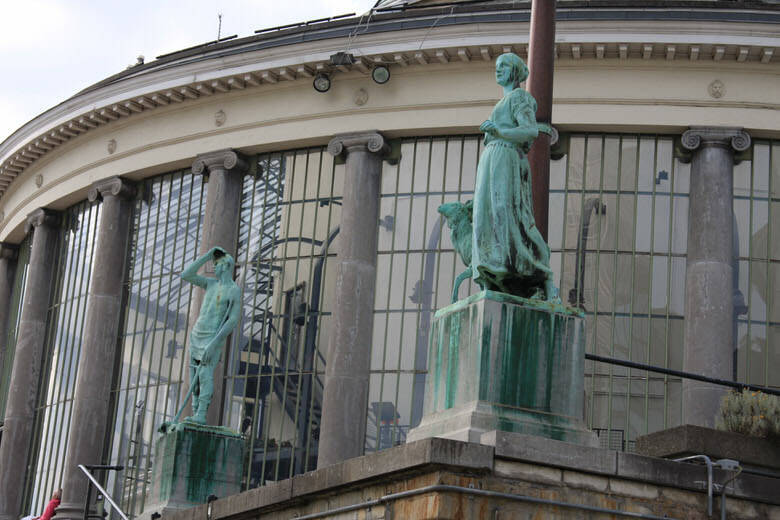 They have since been altered slightly as a result of the construction of the Gare du Nord railway station. 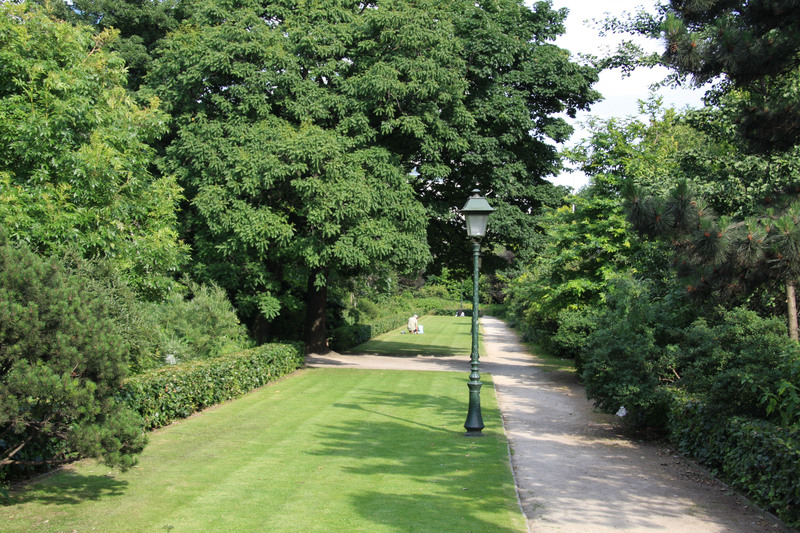 the relocation of the plant collection in Meise, the damage caused during the war, and the building of an underpass which decreased the overall area by half. 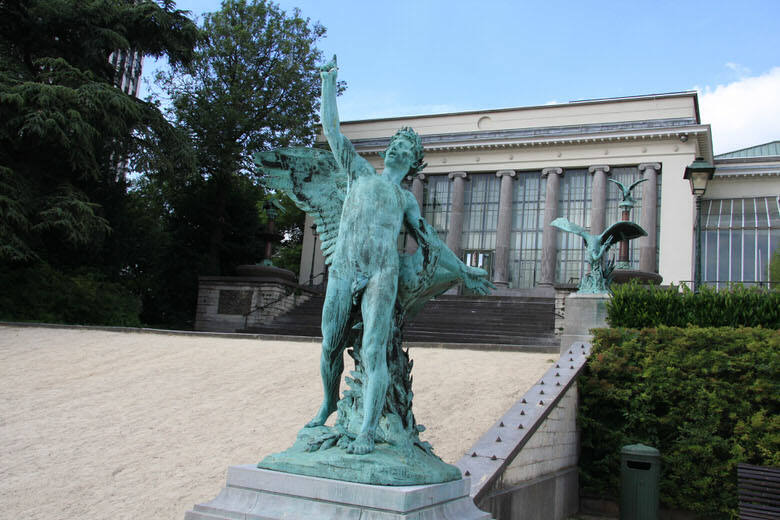 Few of the 52 sculptures that made up the ornamentation designed by Constantin Meunier and Charles van der Stappen, two brilliant late-19C artists, have survived to the present day. Some of them can still be seen in front of the south façade of the building, including Spring (Hippolyte Le Roy). 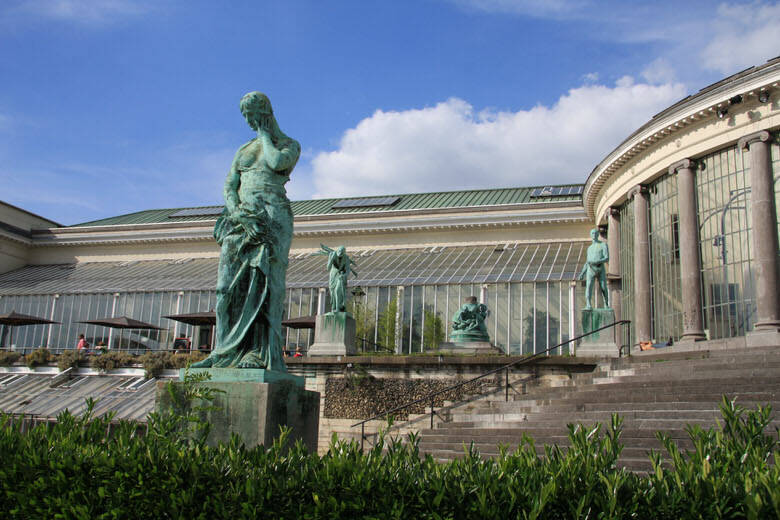 Summer (C Meunier), Autumn (C Meunier) and Winter (Pierre Braccke) flanking the central glasshouse. A number of animal sculptures bear witness to the fashion for this new art form in the 1980s. 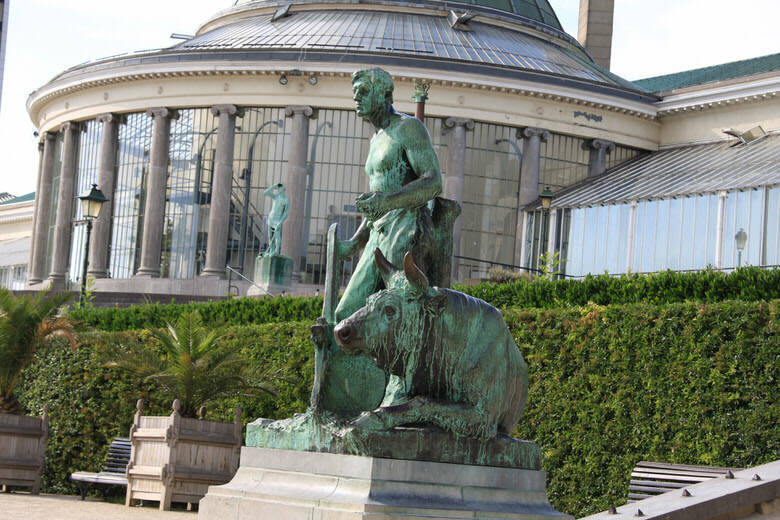 In preparation for the 1958 World Fair. 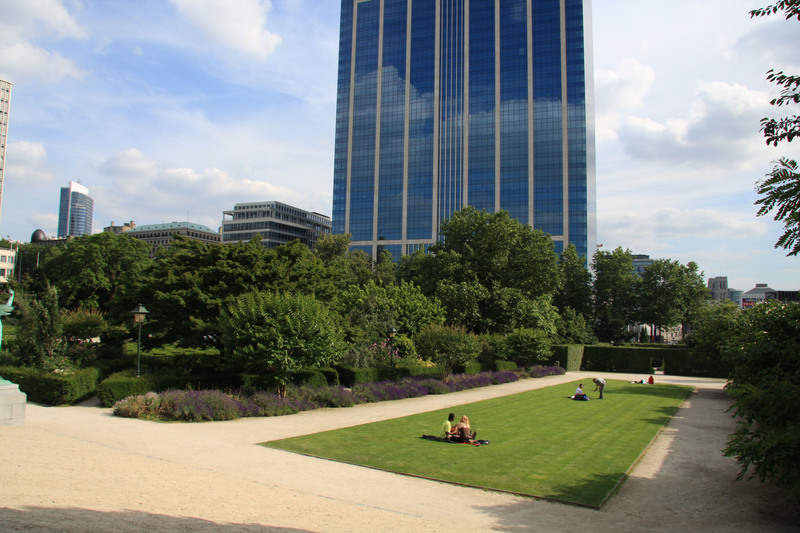 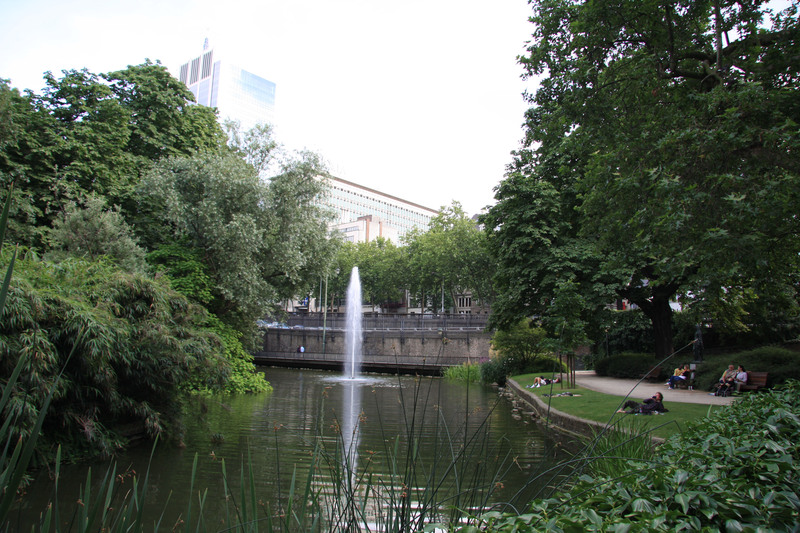 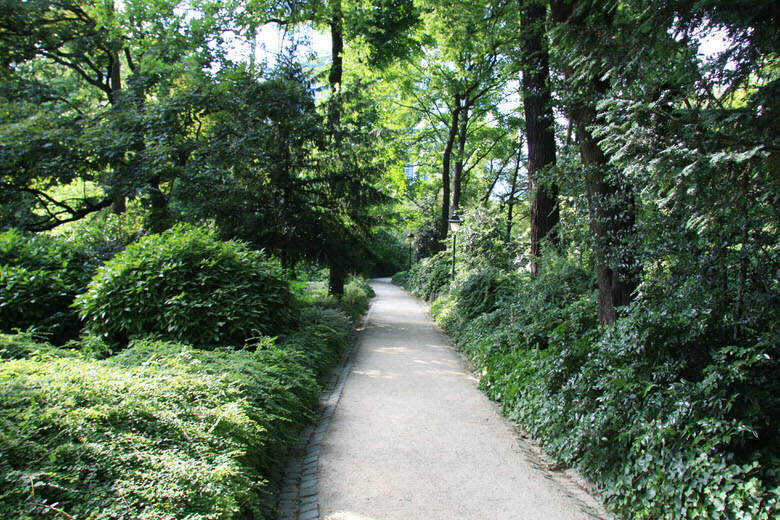 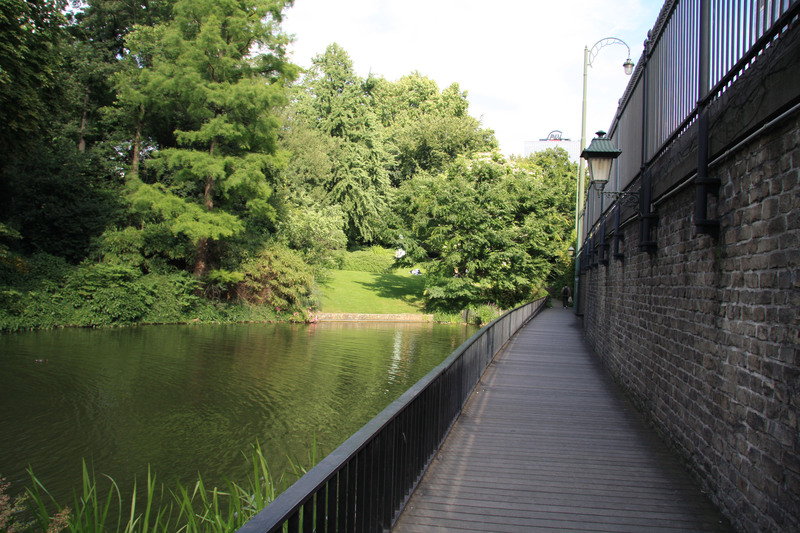 Rene Pechère was commissioned to turn the old gardens into a city centre park open to all. 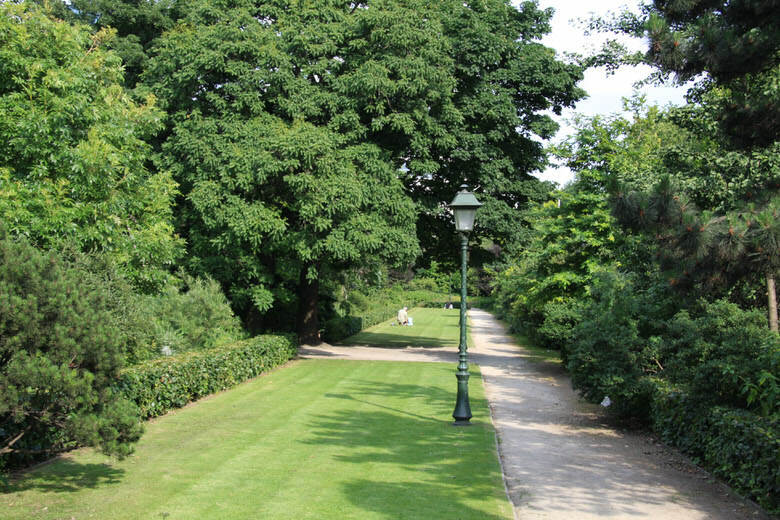 It contains a few superb tree which are sure to delight those with a fondness for arboriculture or a nice spot to relax amongst the urban environment. 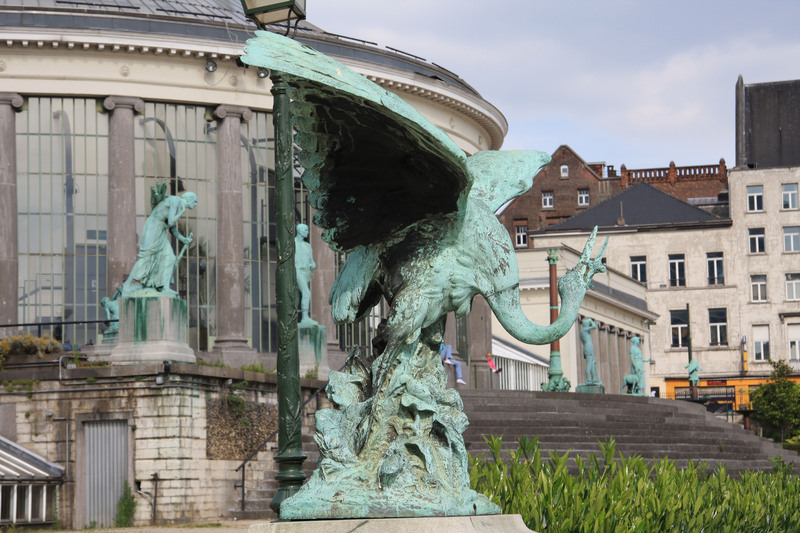 The iris, the symbol of the Brussels-Capital City Region (“Region” because Belgium has been federal state since 17 February 1994), is given pride of place here and from Apri to June there are almost 40 different varieties to admire. You are currently reading "Botanique"